Reedell Homes, the new dean of students, was most recently a GRPS principal and assistant principal. He also was a middle school principal in Muskegon Heights for eight years and superintendent of WayPoint Charter Academy in Muskegon for almost three years. He has a bachelor’s degree in education from Mississippi Valley State University and a master’s in educational leadership from Grand Valley State University. His office is in 101C Sneden. 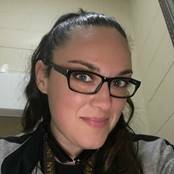 Leah Young, the new Learning Center counselor, has worked for eight years at Central High and Ottawa Hills High schools. She has a bachelor’s degree in sociology and a master’s in counseling from Western Michigan University. She is a licensed school counselor and is working on a master’s degree in urban education at Davenport University. Her office is in room 105 Sneden. A local culinary school is ranked as one of the top programs in the nation. Best Choice Schools, a website ranking higher education institutions in various categories, ranks the Secchia Institute for Culinary Education at Grand Rapids Community College No. 30 in its ranking of Top Culinary Schools 2016. A pair of organizations in the region have been named winners in a statewide awards program that celebrates energy innovation. … Habitat for Humanity of Kent County earned the award for its efforts to teach high school students from Grand Rapids Public Schools how to build LEED-certified homes, as well as its partnership with Grand Rapids Community College to run LEED-certified programs on home construction, green remodeling and sustainable residential design. In an effort to aid its growth, Detroit Sewn, a Pontiac-based, full-service cut and sew manufacturer that assembles products for companies in metro Detroit and beyond, will double the size of its operations by moving to a new, 5,000-square-foot facility early next year. … Detroit Garment Group offers its programs through Henry Ford College, Grand Rapids Community College, Lansing Community College, and St. Clair Community College. For the first time this year, Michigan added the SAT to the Michigan Student Test of Educational Progress or M-STEP. It was taken by high school juniors. Michigan students scored an average of 1001 out of a possible 1600 on the college admission exam. … The Grand Rapids Learning Center is one of Grand Rapids Public Schools’ alternative education programs that’s a partnership with Grand Rapids Community College. Twenty-six students took the SAT in April. The average score was 782.7 out of 1600 (398.1 reading, 384.6 math). … This concert will feature performances by the Grand Rapids Community College music faculty. The program will feature works by Brahms, Hindemith, Copland and others. Admission at the door is $5 general and $3 for students and seniors. Don’t forget: We’re teaming up with Grand Rapids Community College to start our Classroom of the Week series again! Malamiah Juice Bar doesn’t just sell juice at the Downtown Market. They also employ teenagers with no prior work experience. … Among these social entrepreneurs, there are people like Chris Sain Jr., who do a little bit of everything. Sain, author, social entrepreneur and founder of Grand C.I.T.Y. Sports, had plenty of support as a star football player in high school and a walk-on at Michigan State University. But when that career ended and he turned to a new calling as a mentor, educator and social entrepreneur striving to reach kids in impoverished neighborhoods, he quickly learned he didn’t have nearly the same resources or support. Jayson Cummings admits that he’s made some mistakes in his life. … Cummings was second-team All-State for Ypsilanti Lincoln in 2004, then played a year at Grand Rapids Community College before his career on the gridiron got derailed. The elections are only a few months away. To help college students get registered, the Secretary of States Mobile Office will travel 3,000 miles to 18 colleges. CENTREVILLE — The Glen Oaks Community College women’s volleyball program returned to the floor Tuesday and dropped a 25-19, 21-25, 16-25, 18-25 decision at home to Kalamazoo Valley Community College. … Glen Oaks will host Grand Rapids Community College on Thursday, Sept. 8. GRAND RAPIDS, MICH. – The first production of the Jewish Theatre Grand Rapids 2016-17 season opens this Wednesday. … Directed by Jason Marlett and starring Leonard Robinson and Madeleine Hagger, Brill will be performed in the intimate “Black Box Theatre” on the second floor of Spectrum Theater, 160 Fountain St. NE, on the GRCC campus in downtown Grand Rapids. Grand Rapids Public Schools – GRPS, MI — In a swirling sea of students in red and white caps and gowns who were hugging family members and being photographed, Abdulhadi Aljazaeri stood tall with a beaming smile. In his hand he clutched something precious: a high school diploma. … Enrolling first at Union High, he took English as a second language classes and studied vocabulary at night. He finished his program at two alternative schools for older students: the Grand Rapids Learning Center, a partnership with Grand Rapids Community College offering online learning; and Southeast Career Pathways, an individualized program with a community-based emphasis. … Three years later, he can see his future more clearly. He has been accepted at GRCC, where he plans to study nursing while keeping his options open. He sounds up to the challenge. GRAND RAPIDS, Mich. — It was a scary day for police, hospital employees and bystanders in downtown Grand Rapids when a man began shooting outside of the Spectrum ER, killing himself. Grand Rapids Community College even canceled classes for the rest of the day on June 1. That’s when a man took his own life outside Spectrum Butterworth Hospital’s emergency room. Police said Corbin Armock, 26, died from a single gunshot wound to the head. GRAND RAPIDS, MI — Grand Rapids Public Schools doubled the number of alternative education students it was able to graduate in four years after eliminating credits beyond the Michigan Merit Curriculum requirements. … Alternative education students are in four programs: The Grand Rapids Learning Center, a college preparatory high school completion program in partnership with Grand Rapids Community College, Southeast Career Pathways and programs through Bethany Christian Services and at the Kent County Correctional Facility. … “This is very heartening and I know it comes from an approach of deep responsibility and care for the outcome of these students,” said school board member Wendy Falb, who said she was appreciative of GRCC’s partnership and how they are helping students transition into higher education after receiving their diploma.